Whenever Apple launched its product i.e. iPhone, iPad & iPod Touch; it sells it via third-party vendors or with a Contract sign to its customers worldwide including USA, Canada and UK. So if you're one of them who is still using iPhone 5 with Contract via third-party vendors and doesn't like its limitation and wants to Buy Factory Unlocked iPhone 5 Officially via Apple Store than here's a good news for you that Apple is now officially selling Factory Unlocked iPhone 5 Smartphone in Canada, USA,UK and Worldwide. Those who are waiting to Purchase Off-Contract iPhone 5 without any limitation from third-party vendors can Get Factory Unlocked iPhone 5 via Apple's CA (Canada) based official website here. 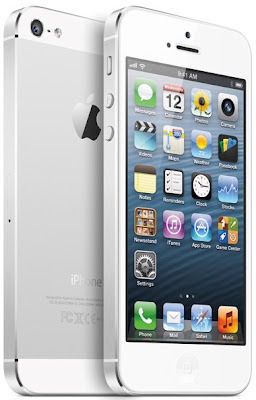 Factory Unlocked iPhone 5 from Apple is available in Black & Slate and in White & Silver colors with the starting price of just $699, increase $100 with the storage capacity of 16GB/32GB/64GB. 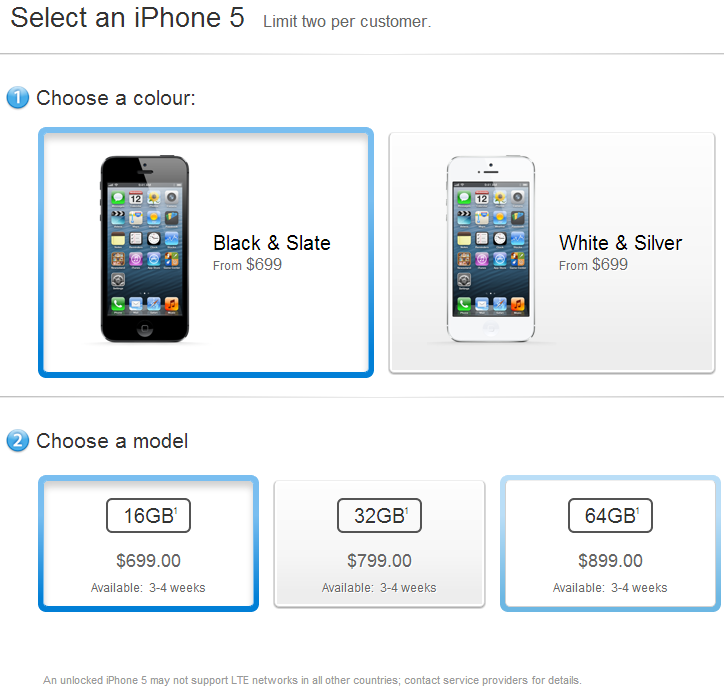 Apple's Factory Unlocked iPhone 5 is officially available in following Prices based on 16GB/32GB/64 GB Data Storage in Black and White colors, respectively with Free Shipping from Apple Store. Click here to place your Orders Now!